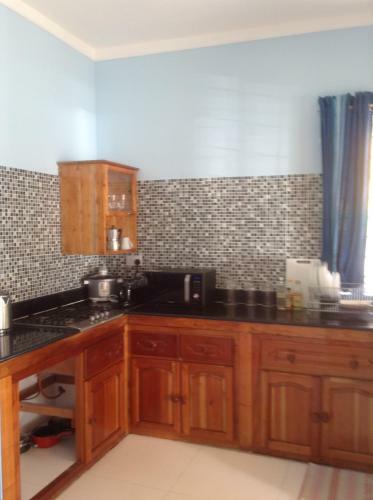 The apartment has a very nice design and interior and is really well equipped in the kitchen with even spices and cooking oil available. The deck for sitting outside was really relaxing as well in the green environment. Very convenient locations close to the shops and the beach is just a short walk away ;) We got great explanations on the sites to see on the island from the friendly host Aline. It was perfect for our start at the Seychelles! Clean, nice area and a very helpful and friendly owner. She spend some time to explain activities, booked a taxi and a care to discover the island. Comfortable bed and big kitchen/living room area + balkony! 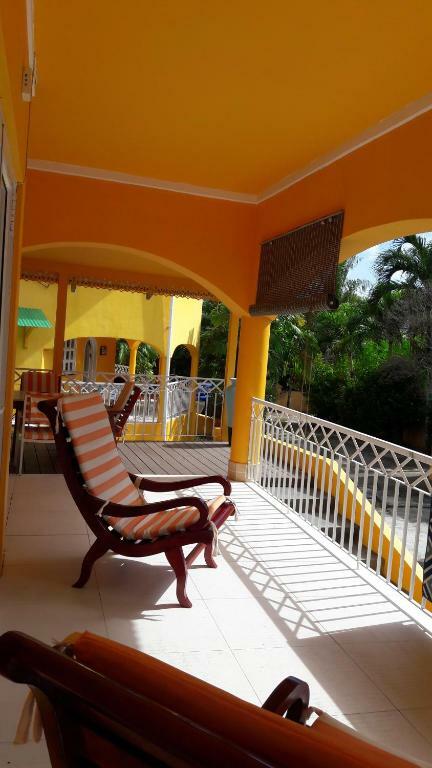 Good location - there were a number of supermarkets within a few minutes walk, bus stops were equally close and the beach and main promenade with restaurants & bars just over five minutes walk away. 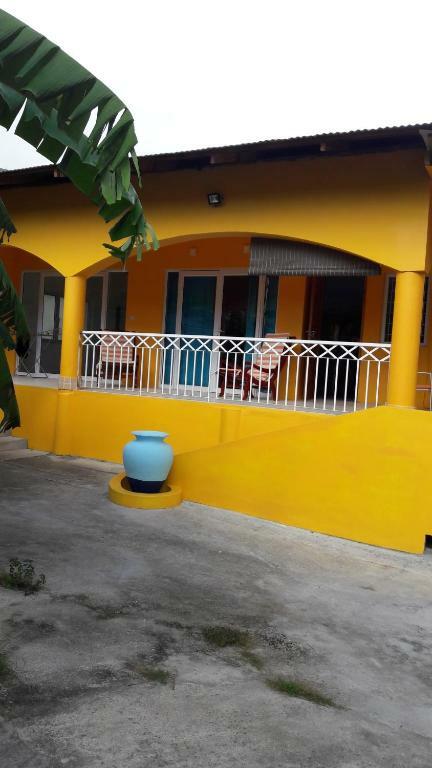 The owner was very helpful and informative, she arranged to have a taxi meet me at the airport and was waiting for me at the property when I arrived (the taxi was expensive but reasonable compared to the general price of taxis on the island). The apartment was clean and well equipped. The apartments are located close to the beach and the main road. They are big and spacious, well equipped. There is a big balcony where you can eat and relax Our host (Aline) was very nice, and helpfull. She recomended some nice places. Very spacious, big big bed, wonderful shower very big, all furnitures were new and clean, large TV, sofa inside and outside.. Everything was perfect and the owner was very kind and present. The room is spacious with a balcony. The kitchen is fully equipped. The hostess (Aline) was excellent and very professional, she gave us many great information that helped a lot. The location is 5 min walking from the beach, 2min from supermarkets. 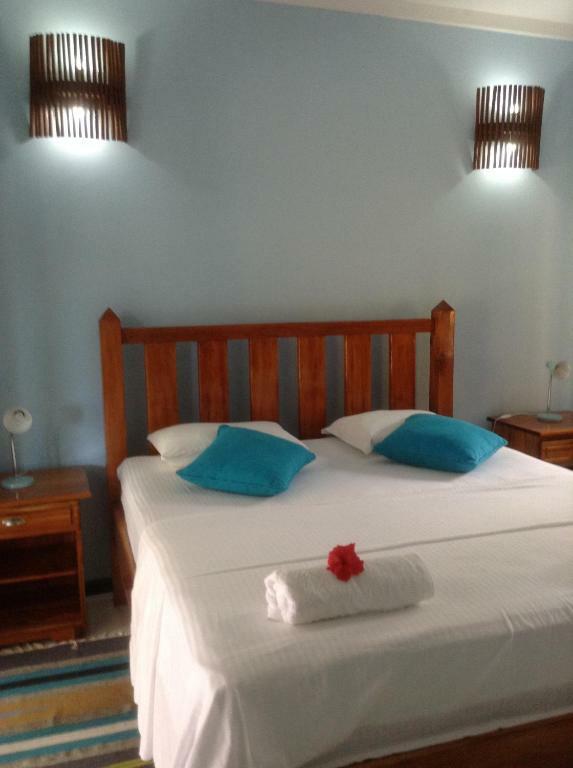 This was the perfect accomodation few minutes walk from the beau vallon beach area. The apartment is very nice, modern furnishing with large balcony where you can enjoy some nice dinners and breakfast. Store just around the corner, yet the house is secluded from any noise. Much recommended, perfect price for value! Very nice place and very friendly host Aline. She showed us the best places - beaches to visit on Mahe and gave us a book with maps of Seychelles islands. Also the beach was very close to the apartment only 5 minutes walk and a store just a minute walk. I would recomend Beau Vallon Residence to everybody. Lock in a great price for Beau Vallon Residence – rated 9.5 by recent guests! One of our top picks in Mahe.Located just a 5-minute walk from the white sand Beau Vallon Beach, Beau Vallon Residence is surrounded by a tropical garden. It offers a self-catering apartment with a veranda and outdoor seating. The air-conditioned apartment comes with a well-equipped kitchen and an open-plan dining and lounge area with satellite TV. 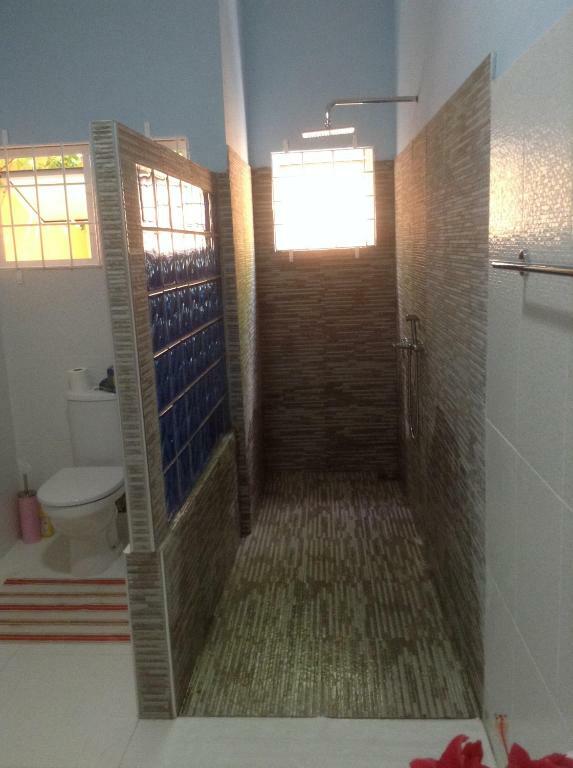 The private bathroom includes a bath and free toiletries. The apartment also comes with complimentary housekeeping, excluding Sundays. Free WiFi is available throughout the property. Beau Vallon Residence is located just a 5-minute drive from Beau Vallon Harbor and 15 minutes’ drive from the Victoria city center. Seychelles International Airport is 20 minutes’ drive away. When would you like to stay at Beau Vallon Residence? Featuring a balcony and outdoor seating, this air-conditioned apartment includes a kitchen equipped with oven, refrigerator and kitchenware. There is also an open-plan dining and lounge area with satellite TV. The bathroom comes with a bath and free toiletries. Located in a prime area within 5 minutes walk to the famous beach of Beau vallon.There are a few restaurant nearby.Recommended restaurant such as ( Boat House and Boat House bar ) La Perle Noire restaurant if you are a fish eater or within minutes away you will also find La Plage restaurant and Boa Boa Pizeria. I had been working in the tourism industry from the past twenty years.I use to work as a sales respresentative for Kuoni UK / Kooni Paris and Saga Holidays. Beau vallon is a well known tourist area for its prestige beach and water sports activities, casino, super markets, Day Trip excursion to a few islands located in the marine park. Famous for its nature trails like to Anse Major and Mare aux Cochon. In the north coast of Beau vallon there is also a marine park ideal for fish feeding and snorkeling. There are also a few spots for diving. House Rules Beau Vallon Residence takes special requests – add in the next step! Beau Vallon Residence accepts these cards and reserves the right to temporarily hold an amount prior to arrival. The garden is not so well maintaned. Wi-fi was very slow; Some basic toiletries such as hand-soap and shampoo would have been appreciated. Slow wifi but still managable. 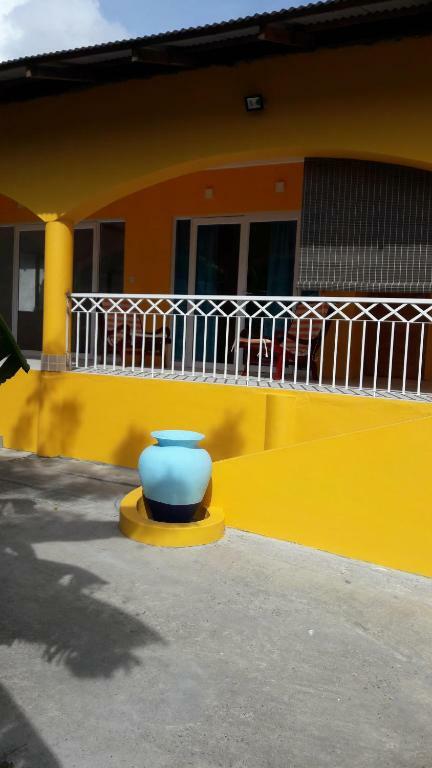 Excellent location, very quiet, close to the beach, shops and bus stop. Very easy to find. It's just off the main road in Beau Vallon. I really enjoyed my stay and would recommend to a friend. 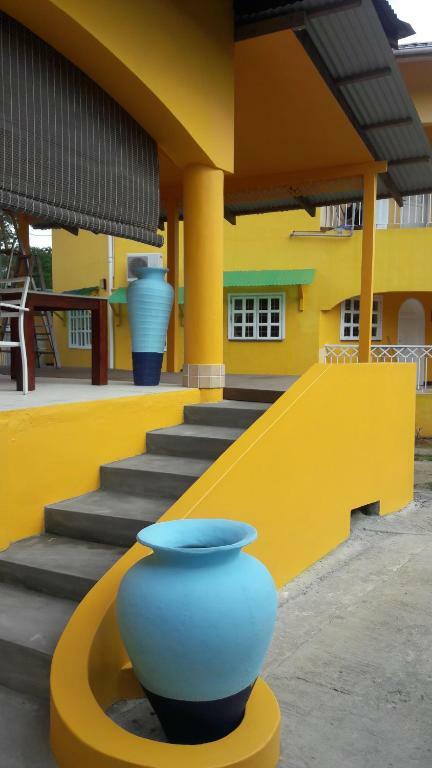 Perfect location within 5 mins walk of the beach and promenade. Nicely tucked away from the road. ATM, shops and petrol station only 50meters up the road. Patio outside was perfect for breakfast or just lounging. Aircon superquiet! Our host showed us the sights on the map and even when we had car trouble! Great value for money! We spend the first four nights on Mahé in Beau Vallon Residence. The self-catering apartments are new, well-equiped and very clean. Alin, the host, has been terrific. She organized everything and gave valuable insights not only for Mahé but also for other islands. The apartments are huge with a cosy terace. Nearby you have several supermarkets and after a 5-minutes walk you can reach the sea. On Wednesday there is always a market where you can buy souvenirs and have dinner for small money. We also recommend the Indian restaurant copper pot which is nearby –we ate the best butter chicken ever ;) Beau Vallon area is also a good choice to discover Mahé but we recommend renting a car although some ways are also possible by bus. Aline, the host, was very helpful and explained everything about the island. She also organized our transfers, which were all well in time. The appartements are very spacious, nicely equipped and also have a nice terrace where you can relax in the evening. Supermarkets, ATM, and bus station are all very close. The Beau Vallon beach is in walking distance, on the way and on the beach promenade you have a choice of restaurants and take-aways.